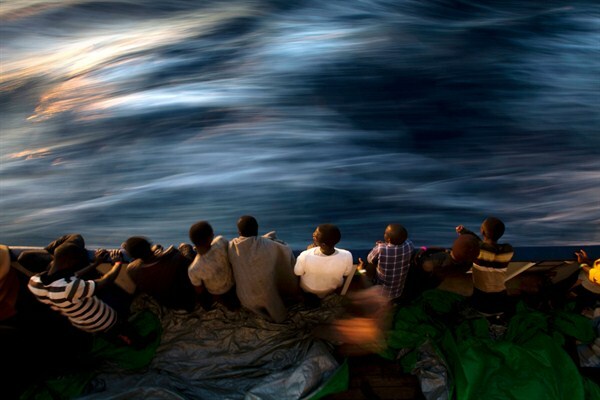 Migrants and refugees stand on the deck of a vessel after being rescued by Spanish NGO workers on the Mediterranean Sea, June 16, 2017 (AP photo by Emilio Morenatti). As people continue to migrate—and die—by crossing the Mediterranean Sea by boat, it is time to reflect on what has gone wrong with the 2015 European Agenda on Migration. The agenda purports to be a comprehensive, multidimensional framework designed to address the crisis of increased precarious migration to Europe and associated fatalities at sea. It has led to the development and implementation of policies across a range of priority areas. Yet without taking into account the journeys and experiences of the actual people making their way to Europe—by choice or necessity—European policies will continue to fail, and thousands more will perish while pursuing safety.